High quality reproduction in the style of the Bourgie Table Lamp - Ferruccio Laviani This Ghost collection is essentially an alliance between classic lines and a very contemporary design touch. The use of plastic and transparency breathes new life into traditional pieces. 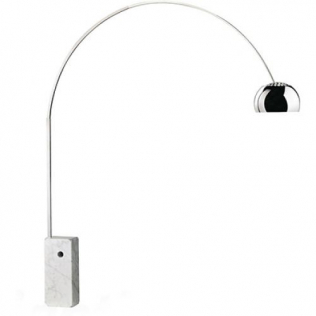 This contemporary lamp will easily find a place in your home. This design lighting is reminiscent of candles used in olden days, brought up to date in the shape of this original lamp. You can add reminders of the Ghost collection by adding other pieces to create a mysterious other-worldly atmosphere. Not only is this decorative lamp original in its design, it is also easy to clean simply by using a damp cloth. Today, does it again with this Bourgie Style Table Lamp - Small Model.We are helping to bring you design products that cannot be found elsewhere at cost prices directly from factories in Asia. Our team is always on the lookout for unique, top quality products and we are stepping up our efforts to bring you choice and quality at cost prices, products that will charm you with their design, their originality and their price!